A man is not fully cooked until he is at least 40, imho. @1950s - I totally get that. Looking back now, it might be nice to have married an older guy with a house and decent 401k, but I think it's my own immaturity that kept me from accepting older guys. i dated both older and younger during my dating days. oh, and 'the graduate' is one of my fav movies! I'm more into older guys. Like John Cusack-age guys, haha. Any guy who is younger than me, it just feels awkward. I'm creepy, I know. Age doesn't really strike me as that big an issue. Though I generally find younger members of the female persuasion annoy the beegees out of me. So I guess I prefer closer to my age or slightly older. Anyways I wouldn't feel too bad about oggling him. It's not really any different from men going slack jawed over some new teenage idol. Most would not admit that. I tried a couple guys my age in my 20's, and found them to be. well, too immature. My boyfriend is 12 years older than I am. Anyway, I ended up dating younger guys and my husband is 4 years younger than me. My wife is one year younger than me, which is fine. I'm not sure if I have a preference though. I think generally men don't care if they are younger or older as long as they are HOT. Mr. RK is six years older than me, and he is among the younger guys I've dated. You do the math! Dated 2 younger guys 2 years younger and 3 years younger. Then dated a guy a whole 6 years older and thats my hubby. Okay, it's not funny, but then it IS funny. 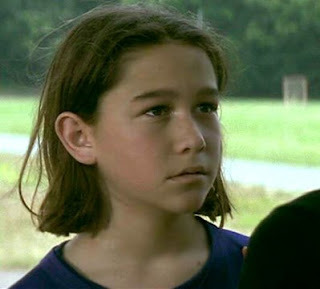 I have a crush on a young actor. I know the pain. My hubs is 6 months younger. I know. I'm a chester the molester. a very acceptable crush indeed. i'm not old enough to be a cougar. my boyfriend is seven years older than me. Crazy how the world works. Meanwhile it was socially acceptable for older men to pine after young britney. Just saying. Now I don't feel so bad about liking younger men. I do get teased about it alot by my brother though - oh, but it's okay for him to have a crush on someone much younger. I'm 40 and some of my crushes are early 30s. A few are late 20s and I do feel a little weird about that. Both. I married someone three years younger and that didn't work out. Now I'm married to someone almost THIRTEEN years older....and it works just great! I don't think I do it on purpose but all my relationships have been with a girl 3-5 years younger than me. 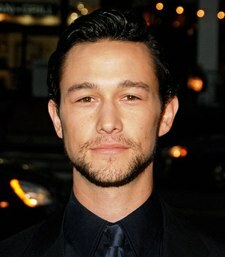 I had a crush on Joseph Gordon-Levitt when he was on 3rd Rock too. That's so weird. I have a big thing for older guys. Like, fortysomethings. They're just distinguished and accomplished which I love. I still think I'm totally destined to marry or at least long-term commit to Ralph Fiennes.